The images below are particularly suited for wallpaper (background images) for your computer. 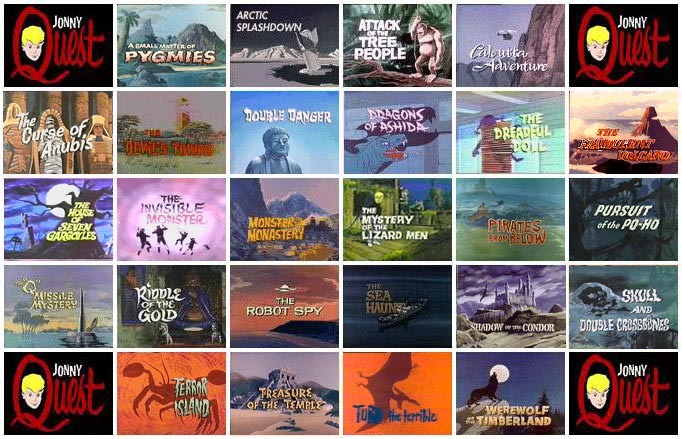 Two collections of episode title cards with show logo as corners; suitable for use as a wallpaper image or imagemap. 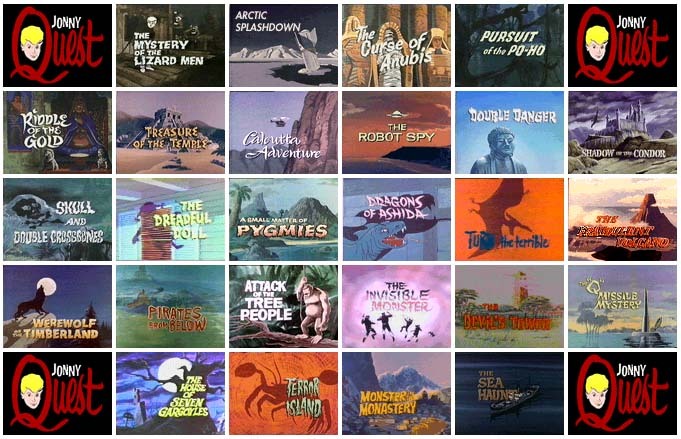 Since there were only 26 episodes, the addition of a copy of the show's logo at each corner was used to create a rectangular image of about the right aspect ratio to fit nicely on a screen, if centered. Ok, we're starting to get a real nice collection of these, so we'll be rotating through the collection on a month-by-month basis. In addition to providing the images, we'll try to let you know where they came from, and any other little tidbits of info concerning them.